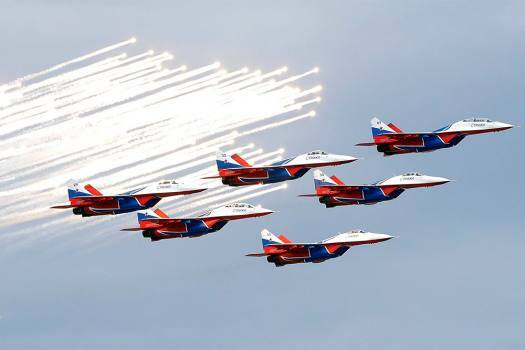 Russia's Aeroacrobatic group Strizhi jets perform before the Russian Formula One Grand Prix at the Sochi Autodrom circuit in Sochi, Russia. 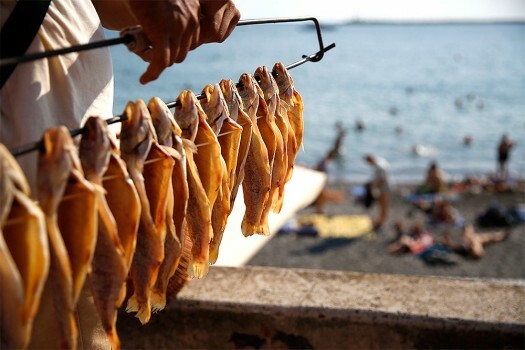 A vendor sells fish on an embankment overlooking a rocky Black Sea beach, during the 2018 soccer World Cup in Sochi, Russia. 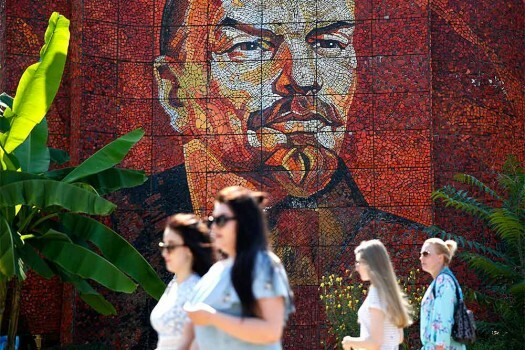 Women walk past a mosaic of Lenin during the 2018 soccer World Cup in Sochi, Russia. 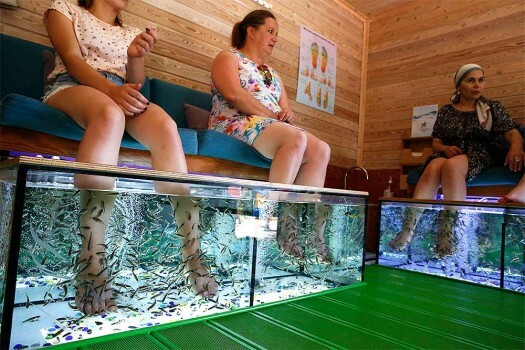 Women get a spa treatment where their feet are cleaned by small fish, in Park Riviera, during the 2018 soccer World Cup in Sochi, Russia. 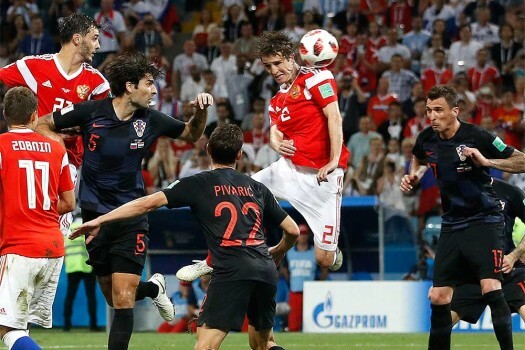 Russia's fans react after Russia's loss in the quarterfinal match between Russia and Croatia at the 2018 soccer World Cup in the Fisht Stadium, in Sochi, Russia. 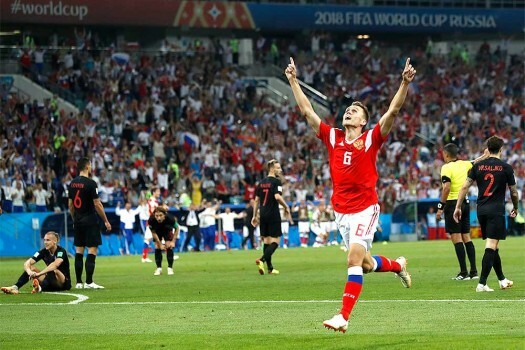 A Russian fan holds a Russian flag prior to the start of the quarterfinal match between Russia and Croatia at the 2018 soccer World Cup in the Fisht Stadium, in Sochi, Russia. 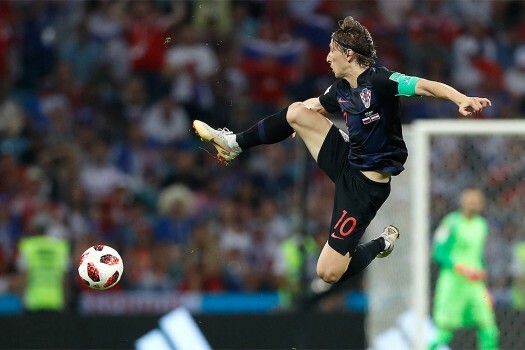 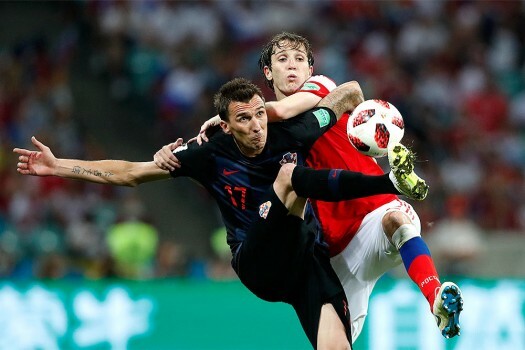 Croatia's Luka Modric jumps for the ball during the quarterfinal match between Russia and Croatia at the 2018 soccer World Cup in the Fisht Stadium, in Sochi, Russia. 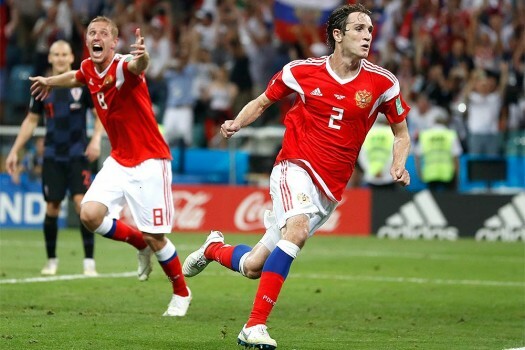 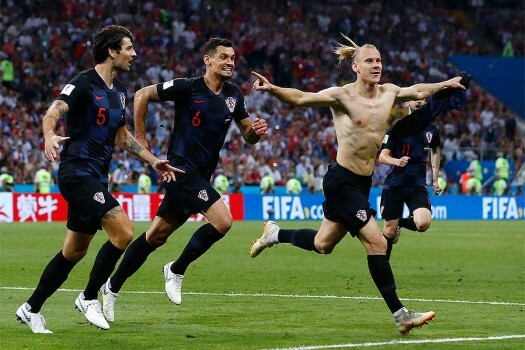 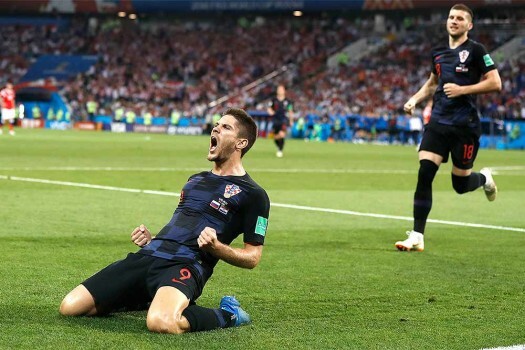 Russia national soccer team players react after the quarterfinal match between Russia and Croatia at the 2018 soccer World Cup in the Fisht Stadium, in Sochi, Russia. 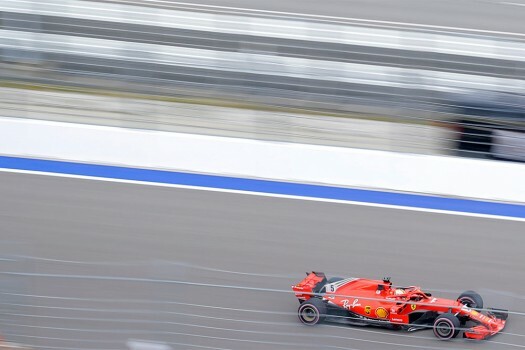 The defending four-time champion was allowed by Bottas to overtake and then defended him from attack by title rival Vettel as the Finn he battled to finish second. 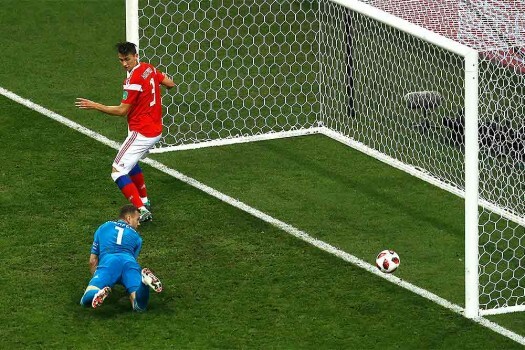 Ronaldo had given Portugal a dream start winning and scoring a fourth-minute penalty.